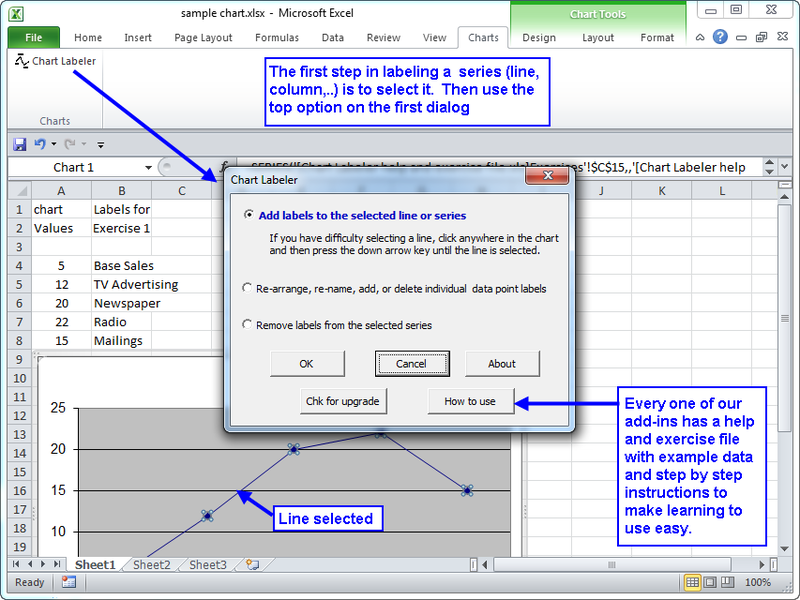 The Chart Labeler add-in for Microsoft Excel is the easiest way to add labels to a chart series. It is compatible with Microsoft Excel 2007 to 2019 and Office 365. To help you learn how to use the Chart Labeler, it comes with a help and exercise file filled with sample data and step by step instructions. Multi-Chart Creator - Create hundreds of charts quickly and easily. Quick Chart Creator - Use just one chart for hundreds of rows of data.